What started as a rumor a few days ago was confirmed earlier today by Google: Android Wear has been rebranded. 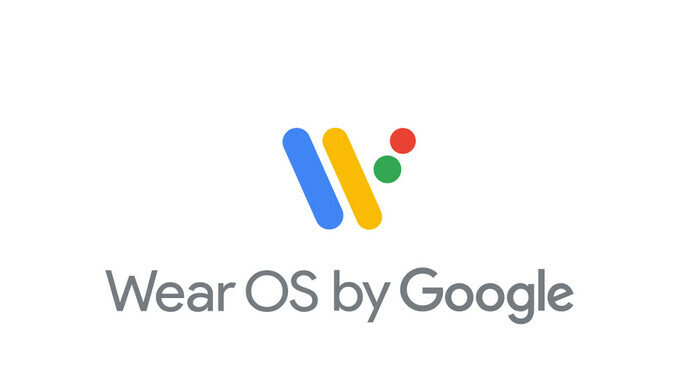 Starting today, Google's platform for smartwatches will be called Wear OS, a wearables operating system for everyone. The change will affect more than 50 smartwatches that made their debut since the launch of Android Wear. The new name is supposed to better reflect Google's technology and vision, the company said in a blog post. As our technology and partnerships have evolved, so have our users. In 2017, one out of three new Android Wear watch owners also used an iPhone. So as the watch industry gears up for another Baselworld next week, we’re announcing a new name that better reflects our technology, vision, and most important of all—the people who wear our watches. Google will continue to develop Wear OS and bring new features and improvements to the wearable platform. In fact, the search giant claims “there's even more exciting work ahead,” which suggests Google might have some nice surprises in the pipeline. Wear OS is going no where as long as everyone but Apple is waiting on Qualcomm for their chips. It's a chicken or egg problem for them currently for all involved, Google should take the initial costs hit to make it happen. Your a fool if you think the current Wear 2100 SoC is inferior or slow, and bad on power. That chip is a quad core SoC with a GPU that even supports HD graphics. It even supports LPDDR3 ram. Not to mention every screen watch screen type. Also there is a few other SoCs from different OEMs as well that work with and support Android Wear or now Wear OS. I know tousled your an Apple guy and you like to put down anything Android and at the same time pump up Apple at any chance you get. But if you actually knew anything about the development of both watch platforms, then you would actually know that Wear OS can actually do way more than Apples Watch OS, period. Qualcomm 2100 is 28nm (introudced in 2016) which is comparable to SD 800/801 SoC size (introduced 2013) problem with this kind of Soc for smartwatch as it is inefficient for a watch as it consumes more battery than 14nm (SD820). Also Qualcomm has no competition with Android Wear they are the only company that provides Soc for every OEM (except Samsung) which is why they dont feel threatened by the market. Point is Qualcomm 2100 is 2 years old already it's not bad but inefficient on battery life especially on Wearables. Samsung even provided 14nm SoC with their new Tizen smartwatch and also Apple with new SoC on Apple Watch S3. If you actually knew anything about the development of both watch platforms, then you would actually know that both OS can do basically the same but different execution. And if it can do more why Android wearables sales show otherwise? Right now only 3 Big players (Apple,Samsung,Fitbit) are playing. When they were handing out brains you were clearly in the back of the line. First of all the SD Wear 2100 is very power efficient, but that would mean you actually read the information in regards to the Wear 2100 SoC. Especially when you can run only one CPU core, or run up to all 4 cores if need be. Clearly you were trying to look stupid when you said the SD Wear 2100 consumes more battery than a SD 820. As if it consumes more energy than a SD 820. Also when you posted "Also Qualcomm has no competition with Android Wear they are the only company that provides Soc for every OEM (except Samsung) which is why they dont feel threatened by the market. ". Once again you were clearly trying to show the world that you know nothing about Android Wear. As a matter of fact there is a couple of Android Wear smart watches that use Intel's mobile SoCs. Also there is a couple that use MediaTeks mobile SoCs. So what about those Android Wear smart watches? Hmmm. As far as Apples S3 it is a System in package and it's comprised of over 30 something components. The last S2 was comprised of 42 components. Including chips from Qualcomm that are in all of Apples Sx SiPs. Sure Samsung did the manufacturer for Apples CPU that goes into their S3. But I cannot find anything to say that the latest S3 CPU embedded in the package is manufactured using Samsung's 14 nm process. As far as development is concerned. You couldn't be more wrong when you said both OS's can do basically the same. There is a ton of restrictions on Apple's Watch OS, that developers still cannot do the same things that you can do on Android Wear or now Wear OS. It's actually funny that you could actually think that Apples Watch OS can begin to do the same things as Android Wear. So clearly you are showing the world that you don't know what you are talking about, once again. Since when do sales have a factor on whether an OS can do more or less? Are you really that stupid? It's been proven that Apple has loyal customers and would buy practically anything from Apple. A prime example is the latest HomePod. Or the Apple watch itself. Both of which only support Apples platforms. Plus they are both limited in terms of functionality. Silly to drop the android branding. Not really, Android is going to get replaced anyway.